Fairfield Post-Acute Rehab receives Five Star Rating from Medicare in addition to the ‘Best Nursing Homes’ classification from US News and World Report. We are passionate about bringing a higher standard of quality care to our patients. Millions of Americans spent at least part of 2014 in a skilled nursing facility, or nursing home and growing numbers are expected for 2015. Individuals and their families often encounter difficulty in choosing the right nursing home. Frequently asked questions including, "Where will I receive the highest quality care?" "Where will I be treated like a resident, not just a patient?" and "Where is the cleanest nursing home with the best food?" weigh heavily on their minds. In an effort to lighten the burden of such an important choice, U.S. News and World Report recently released its sixth annual "Best Nursing Homes" report. Using data from the federal agency that sets and enforces standards for nursing homes, U.S. News awarded the "Best Nursing Home" designation to homes that recently earned an overall rating of five stars, highlighting the top nursing homes in each state and nearly 100 major metropolitan areas. The ratings cover more than 15,000 nursing homes nationwide and are freely available at http://www.usnews.com/best-nursing-homes. Medicare likewise rated each nursing home with one to five stars based on separate measures of quality of care, health-inspections record, and level of nurse staffing. At the top of the list is Fairfield Post-Acute Rehab, a facility serviced by North American Health Care, Inc. Medicare has given 30 of 36 facilities serviced by North American Health Care a five-star rating. Statistically, less than 23% of all skilled nursing facilities in the United States will achieve this level of success. No other similar organization in the United States has consistently achieved this level of patient care. Residents are highly complimentary. “What a great group of people you have working there! I loved every minute of my rehab,” and “The staff at Fairfield took such great care of me in my time of need and got me back on my feet after bilateral knee surgery. I want to especially thank the PT department for making my rehab fun, and believe it or not, enjoyable” are just some of the more recent comments that speak to the care and culture of Fairfield. For more information about Fairfield Post-Acute Rehab, please visit http://www.fairfieldrehab.net or contact (707) 847-9671. 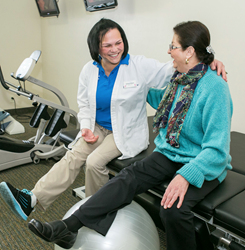 At Fairfield Post-Acute Rehab caring is the main concern. They believe the most effective way to provide compassionate care is to maintain high medical integrity, build a team spirit among staff, and provide friendly, beautiful surroundings for patients and their visitors. The team of qualified professionals helps patients recover from surgery, injury, or serious illness. Fairfield understands the importance of creating a comfortable and nurturing atmosphere, whether patients are there for short-term treatment or long-term care. The main goal at North American Health Care, Inc. is to assist their client-serviced facilities in providing five-star patient services for every person served. Their client-serviced facilities’ ratings reflect the organization’s commitment to excellence in patient care, which includes the desire to provide every individual serviced a dignified experience.